Anyone know of a decent hot sauce that can be bought easily enough? My partner cannot handle her hot food at all, so I usually tend to resort to a sauce that can be put on the food afterwards. Have been using a tobasco brand habanero sauce, while the heat is alrite, the taste is pretty gross, which is probably mostly to do with not getting added during the cooking stage. Culleys do a great range of sauces, they're available from Countdown. GP user Swampy does some excellent sauce. Sweet, cheers for the options, I'll look into culleys when we do the weekly shop tomorrow. Husband isn't keen on chilli. What I do is cook the meal - say Chilli Con Carne as a for instance, without any chilli, then dish his serve up. Then I add in chilli to the rest cook a minute or so longer and there's mine. Havent seen that in shops for many years. Thought it had been discontinued? Probably didn't sell that well in the supermarkets, but it's definitely still made. Culleys would be the go-to, they have a reasonable range. On that note, does anybody know where in Christchurch I could get the Melinda's hotsauce range? I used to get them from AFW but that's been gone four years and doesn't look to be coming back any time soon. I know I can get them online, I want to find a local supplier if possible. Culleys Trinidad Scorpion is excellent. Nice and hot with a very good flavour. Superior to Kaitaia Fire. Ditch Melinda's, support the underdog. 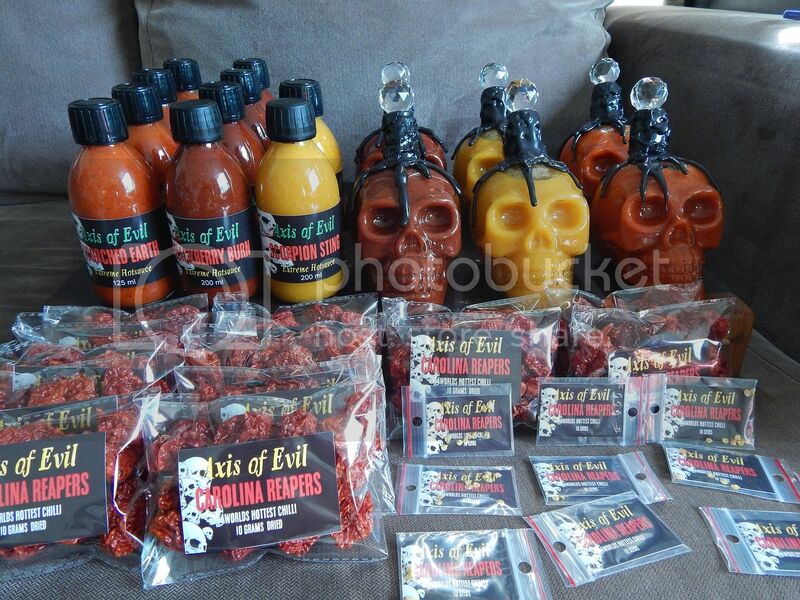 I still have a few each of my sauce left if you are keen.Its extremely hot though. How much are you selling reapers for? $10 for 10 grams dried. Just found out Culleys make their own Buffalo sauce. Hnnnnng.